Dinosaurs inhabited the earth for over 165 million years, during the Mesozoic Era. Most dinosaur species lived and died out during this period, but at the end of the Cretaceous period (65 million years ago), all remaining types of dinosaurs (with the exception of birds which had already evolved, and are widely believed to be descended from dinosaurs) died out. At the same time many other creatures (for example Ammonites, and Belemnites, as well as Pterosaurs, and many large marine reptiles such as Mosasaurs. Plesiosaurs and Pliosaurs) also became extinct. In fact, all animals weighing more than 55 pounds (25 kilograms) seem to have died out! While are not sure what happened, we do know that something happened at about 65 million years ago. 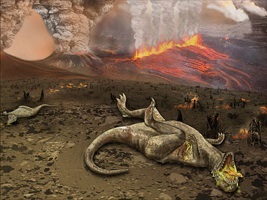 This event shows up as clear boundary in the rocks, known as the "K-T boundary", the extinction event usually being referrred to as the "Cretaceous-Tertiary mass extinction". (Note: Sometimes these suggested explanations are informally called "theories", however in this case "hypotheses" is the correct term, since in science a theory means a well-substantiated explanation of some natural phenomenon or observation, whereas as "hypothesis" means a suggested explanation which needs to be tested against experimental evidence). Hypothesis: An asteriod hit the earth. Effect: Apart from the immediate impact of fires and flooding (if it hit the sea), this would have caused catastrophic changes in the environment because of the dust thrown up in to the air blocking out sunlight. Our Evaluation: This is currently the most popular hypothesis with scientists, because, as Luis and Walter Alvarez pointed out, iridium (which comes from asteroids) has been found all over the world in rocks at the K-T boundary (which were laid down at the time of the mass extinction). There is also a large crater at Chixulub in southern Mexico, which appears to be of the right age, and could have been made as a result of an asteroid hitting the earth. Hypothesis: Volcanoes (there is known to have been very active volcanic around this time, especially in India in a region that is today known as the Deccan Traps) could have caused catastrophic changes in the environment. Effect: The dust from volcanoes would have affected the climate, sulphur from volcanoes could have caused immensely strong acid rain, and poisonous substances such as selenium could have been released into the atmosphere. Our Evaluation: After the Asteroid Impact Hypothesis, this is probably the second most popular explanation among scientists - partly, because we know that volcanoes were active at about this time. Hypothesis: A nearby star exploded as a supernova. 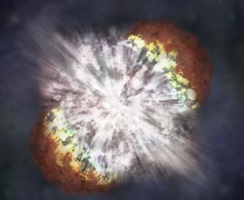 Effect: A nearby supernova would have bathed the earth in deadly radiation. Our Evaluation: If this hypothesis is true, rocks at the K-T boundary should contain 244Pu (a long-lived isotope of Plutonium). However, this does not seem to be the case. Hypothesis: Changes in the Earth's climate caused the mass extinction. This could have been caused by gradual changes in the positions of continents effecting ocean currents and winds, or by changes in the Earth's orbit around the sun, or even by a relatively sudden greenhouse effects. Effect: Depends on the particular climate change theory in question. Our Evaluation: This hypothesis can not be discounted, and even if climate change was not the main cause of the extinction, it could have played a part - there is some evidence that the Earth cooled at the end of the Cretaceous period. Hypothesis: The first flowering plants appeared during the Cretaceous period, and if dinosaurs ate them they could have been drugged by them. Effect: Could perhaps have wiped out some dinosaurs. Our Evaluation: This hypothesis does not explain the extinction of many other species, especially marine species. 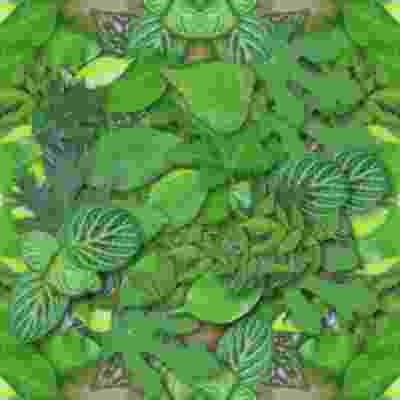 It also struggles with the fact that dinosaurs and flowering plants were contempories for many millions of years, and only suddenly, at 65 million years ago, the dinosaurs died out. Hypothesis: Mammals ate the dinosaurs' eggs. Our Evaluation: This used to be a popular hypothesis - but does not explain the extinction of many other species, especially marine species. It also does not explain why dinosaurs were very successful for millions and millions of years, during most of which time, mammals were also around. Hypothesis: Caterpillars ate all the plants and there was not enough food for herbivores, and eventually not enough meat for carnivores. Our Evaluation: This hypothesis does not explain the extinction of marine species, and some may wonder whether caterpillars could really affect every continent on the Earth at the same time to this extent. Hypothesis: The dinosaurs could have been wiped out by a disease epidemic. Our Evaluation: The problem with this hypothesis, is could it effect dinosaurs to the extent of wiping them all out, and how could it explain the simultaneous extinction of marine animals? Although many scientists now favor the asteroid impact hypothesis, it is not yet actually certain that this is the reason why the dinosaurs died out. It is possible that one of the other theories might be the correct one. It is also possible, that there could have been several events which happened together, and between them, killed all the dinosaurs. Our world has ended five times: it has been broiled, frozen, poison-gassed, smothered, and pelted by asteroids. In The Ends of the World, Peter Brannen dives into deep time, exploring Earth’s past dead ends, and in the process, offers us a glimpse of our possible future. Many scientists now believe that the climate shifts of the twenty-first century have analogs in these five extinctions. Using the visible clues these devastations have left behind in the fossil record, The Ends of the World takes us inside “scenes of the crime,” from South Africa to the New York Palisades, to tell the story of each extinction. Brannen examines the fossil record—which is rife with creatures like dragonflies the size of sea gulls and guillotine-mouthed fish—and introduces us to the researchers on the front lines who, using the forensic tools of modern science, are piecing together what really happened at the crime scenes of the Earth’s biggest whodunits. Part road trip, part history, and part cautionary tale, The Ends of the World takes us on a tour of the ways that our planet has clawed itself back from the grave, and casts our future in a completely new light. For millions of years these fantastic creatures roamed our planet. Then, suddenly, they all disappeared. Scientists wonder why. 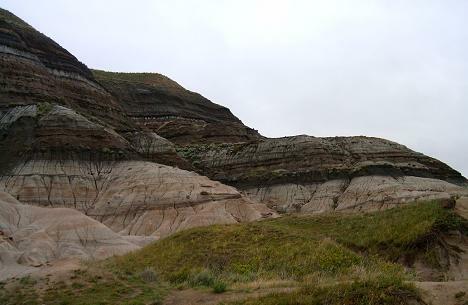 What could have caused this huge extinction 65 million years ago? In this enlarged edition, distinguished writer Franklyn M. Branley and award-winning artist Marc Simont provide the perfect introduction to an always fascinating subject - the disappearance of the dinosaurs. 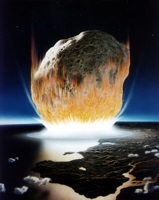 In 1980, the radical theory was proposed that a comet or meteor struck the Earth 65 million years ago, wiping out the dinosaurs and 70 percent of all other species. "Night Comes to the Cretaceous" is the first comprehensive and objective account of how this incredible theory has changed the course of science. 35 illustrations. Written for non-specialists, this detailed survey of dinosaur origins, diversity, and extinction is designed as a series of successive essays covering important and timely topics in dinosaur paleobiology, such as "warm-bloodedness," birds as living dinosaurs, the new, non-flying feathered dinosaurs, dinosaur functional morphology, and cladistic methods in systematics. Its explicitly phylogenetic approach to the group is that taken by dinosaur specialists. The book is not an edited compilation of the works of many individuals, but a unique, cohesive perspective on Dinosauria. Lavishly illustrated with hundreds of new, specially commissioned illustrations by John Sibbick, world-famous illustrator of dinosaurs, the volume includes multi-page drawings as well as sketches and diagrams. First edition Hb (1996): 0-521-44496-9 David E. Fastovsky is Professor of Geosciences at the University of Rhode Island. Fastovsky, the author of numerous scientific publications dealing with Mesozoic vertebrate faunas and their ancient environments, is also scientific co-Editor of Geology. He has undertaken extensive fieldwork studying dinosaurs and their environments in Montana, North Dakota, Arizona, Mexico, and Mongolia. David B. Weishampel is a professor at the Center for Functional Anatomy and Evolution at Johns Hopkins University, School of Medicine. Weishampel is best known for discovering, researching, and naming several rare European dinosaur species. During the 1980s Weishampel gained fame for his work with American paleontologist Jack Horner and later named the famous plant-eating, egg-laying Orodromeus, Horner. Now, a decade after his pioneering studies with Horner, Weishampel is most widely known for his current work on the Romanian dinosaur fauna. He is the author and co-author of many titles, including The Dinosaur Papers, 1676-1906 (Norton, 2003); The Dinosauria, (University of California, 1990); and Dinosaurs of the East Coast, (Johns Hopkins University Press, 1996). In this brilliant exploration of our cosmic environment, the renowned particle physicist and New York Times bestselling author of Warped Passages and Knocking on Heaven’s Door uses her research into dark matter to illuminate the startling connections between the furthest reaches of space and life here on Earth. Jurassic World meets Dawn of the Planet of the Apes in this epic new middle grade series full of heart-pounding action and breathtaking chills! "Amazing adventures!" raves Brightly.com as they recommend Edge of Extinction as a 2016 Holiday Gift for Tween Readers.